The Freedom Feens explain how podcasting and radio are the literary equivalent of the AK-47 or the liberator pistol. And since podcasting is under threat from patent bridge trolls, the Feens explain how they plan to save podcasting. This entry was posted in Freedom Feens and tagged " The controls are all in Cyrillic, Alex Jones on obamacare., altered it for Feens and it's attached. lol. It kind of reminds me of the Simpsons where Homer tries to buy a new car and buys something made by "Zagrebco Moters, and the car salesman says "the country of manufacture no longer exists, but is good car. Gets 30 hectors per bushel of petrol! 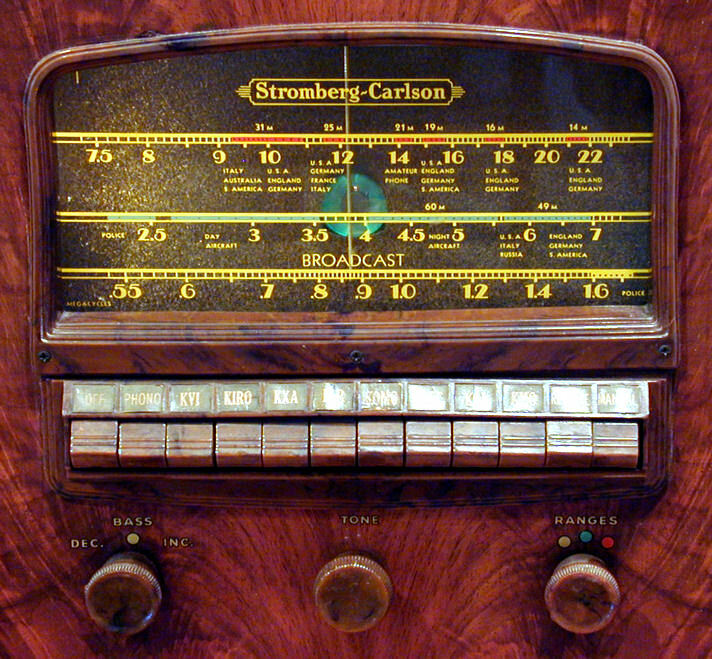 ", EFF podcasting idea., found an odd image of an old Eastern European radio, If the government supposedly built the internet, why can't they build a functional website? --Lousander G. Feen. Bookmark the permalink. I need to send this letter to the Prussian consulate in Siam, am I too late for the 12:15 autogiro? Also I don’t think the mass distribution of liberators would have defeated the nazis. Probably would have hamstrung the Japanese in their occupied territories, but that’s a heck of a thing to ask anyone to go up to a jack booted thug and shoot them in the head. You can’t really ask people to do that now, why should it be expected of people back then? I’ve been trying to find the episode where you told the story of where the phrase “Snails just happen” came from, but no luck…. I have no idea. This stuff just pours out of us and I usually forget it when it’s over. That’s why we record it. We need a royal scribe. lol. Or s alight improvement in voice recognition to where we can automate creation of searchable transcripts of all shows. Michael if you haven’t already, these two episodes of “This American Life” are worth checking out. Yeah it’s NPR statist BS but they interview the men behind the lawsuit. It’s very interesting. At one point they try to compare a service they offered with news headlines recorded on cassette tapes to podcasts on iPods. Thanks. Yup, I listened to both of them. Great, in-depth stuff.